Pop up sockets for kitchen worktops are one of the most ingeniuos inventions for the home, and by installing worktop sockets in one of our stunning worktops you can make practising your culinary skills so much easier. Kitchen worktop sockets are fitted discreetly beneath work surfaces, "popping up" when required, and sliding down when not in use. Our worktops can be fitted with a worktop socket tower, or horizontal kitchen worktop sockets, depending on the space you have and the style you prefer. Discover more about worktop socket options by browsing the relevant pages on our site. Worktop sockets can be installed in over 500 different types of HC Supplies work surfaces, including the black granite satin worktop from Artis, Pro-Top laminate worktops, and Axiom block lumber worktops. If you aren't sure which pop up sockets for kitchen worktops would work best with your space, get in touch with one of our friendly advisers. Our teams will be happy to discuss your kitchen worktop sockets queries, and you can either give them a call, or use the online contact form. Experience quality products whether you purchase pop up sockets for kitchen worktops, or big brand work surfaces. Pop up sockets for kitchen worktops are the type of accesssory that can completely transform your kitchen. Imagine worktops sockets that are precisely where you need them to be and look forward to ease of access to kitchen worktop sockets whenever you require them. Pop up eletrical sockets for kitchen woktops are extremely popular right now, with homeowners realising how they are, in fact, a necessity in the modern home. Depending on the layout of your kitchen, and your individual needs, a worktop socket tower may be your preference, or you may prefer a horizontal worktop socket. Our customers enjoy a wide range of choices when it comes to work surfaces, breakfast bars, and worktops, which are compatible with the latest workop socket designs. 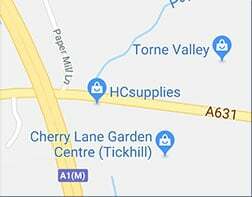 Known for outstanding dedication to customer satisfaction, HC Supplies are delighted to be able to provide exceptional stock at vastly reduced prices, ensuring our customers can remain in budget whilst purchasing the best products for their homes. Once bought, your items will be delivered by trained delivery teams who will transport your purchases swiftly, and safely to your UK address. Do you need our products to be delivered to an overseas address? Take advantage of our superb shipping services and have your items delivered safely to your home outside the UK. Overseas deliveries can be arranged by calling our customer service advisers. For assistance with any of our delivery options, or help selecting the perfect products for your home, call us today, or get in touch via the online contact form, and one of our team will get back to you as soon as possible. Our advisers are here to help in any way they can, so why not give us a call to discuss your requirements? Trust HC Supplies for all your kitchen worktop and worktop socket needs.